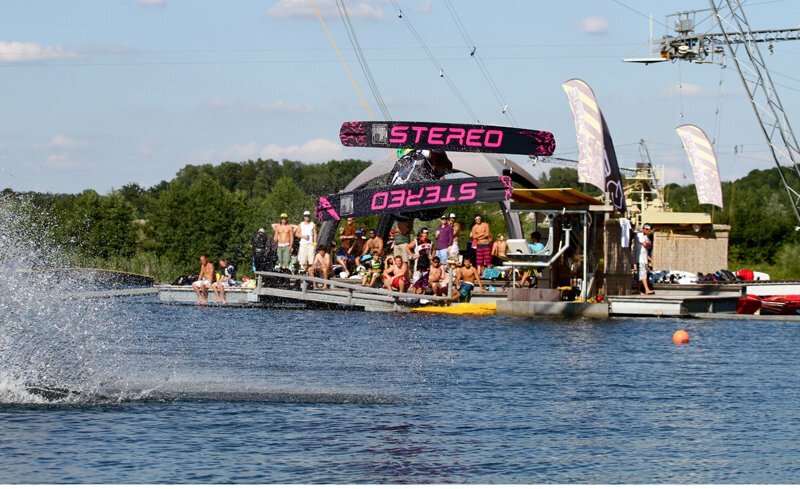 The first ever wakeski competition in Europe, the Stereo European Wakeski Open, took place at the cable park Turncable in Thannhausen, Germany on July 31st, 2010. 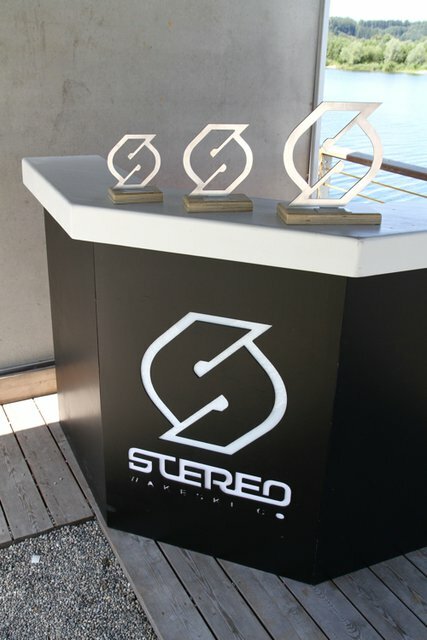 The event, which was sponsored by Stereo, Turncable and Red Bull, was a huge success and the sun was shining all day. There were 18 riders in total participating in the tournament and the level of the riding was very impressive. The riders were from Norway, Sweden, Belgium, Italy, Germany and France. Riders included Bj&oslash;rn Jokerud (NOR), Kristian Hvaara (NOR), Jens-Martin Johnsrud (NOR), Ola Wedefelt (SWE), Sebastien Coll (FRA), Chris B&ouml;ttcher (GER), Christian Gollhofer (GER), Jan Sh&auml;dle Udeba (GER), Lukas G&uuml;tling (GER), Sebastian Hannemann (GER), Rouven Kaschel (GER), Tobias Michel (GER), Florian Berger (GER), Katrien Aerts (BEL), Andrea Brignolo (ITA) and Matteo Parnigioni (ITA). The tournament format was qualification, last chance qualification, semi-final and final. The qualification round had four heats where the two best riders from each heat progressed to the semi-final. The remaining riders got a last chance qualification for the last four spots in the semi-final. The riders in the final were Sebastien Coll, Chris B&ouml;ttcher, Lukas G&uuml;tling, Jan Sch&auml;dle Udeba, Bj&oslash;rn Jokerud og Jens-Martin Johnsrud. We got to see several different flips and spins on the kickers and several combinations on the rails. 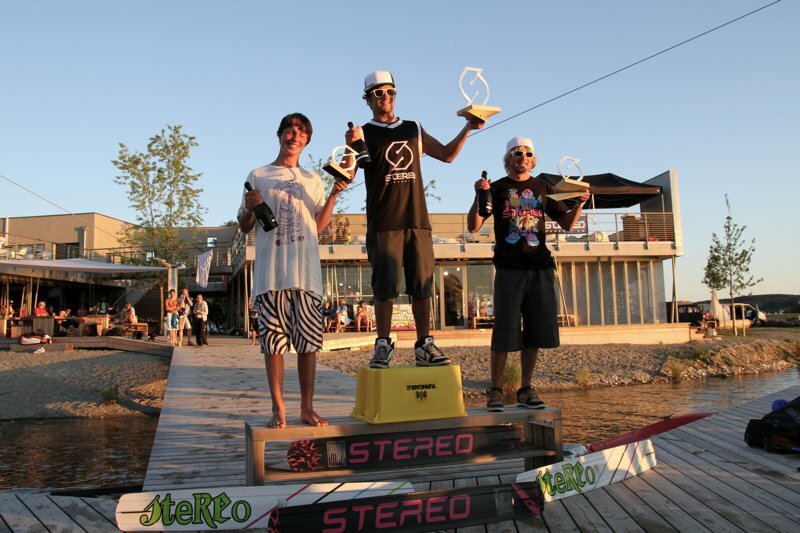 It was an even fight between the riders in the final and most of them put down new tricks. Sebastien Coll delivered a solid run at the end with impressive air tricks, such as a &ldquo;S-bend to blind&rdquo; and a massive transfer and the huge &ldquo;Optimus Prime&rdquo; rail. After the final there was a jam session and Red Bull Best trick contest were the vinner got VIP tickets with hotel to a festival. Sebastien Hannemann landed the first &ldquo;switch backflip 180&rdquo; in history, but was beaten by Christian Gollhofer who landed a switch rodeo 540. 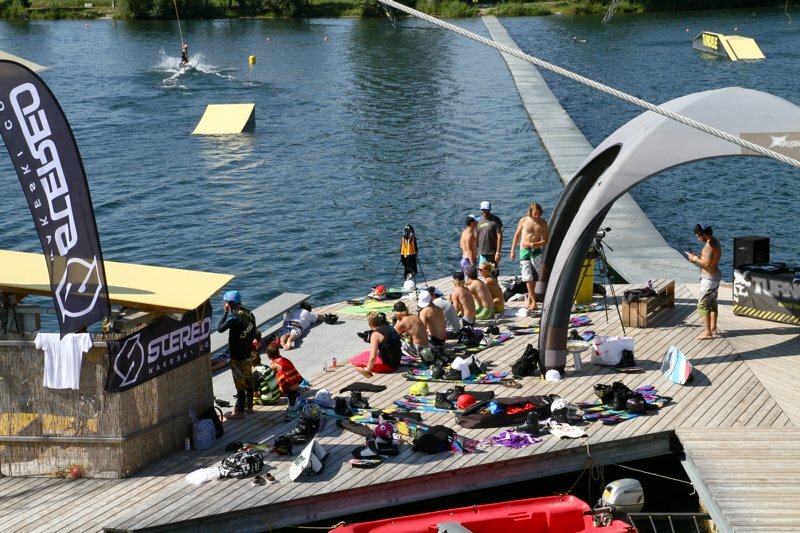 The judges in the contest were the German wakeboard judges Ralf Hala and Mari Sandner together with Norwegian freeskier Christopher Frankum. 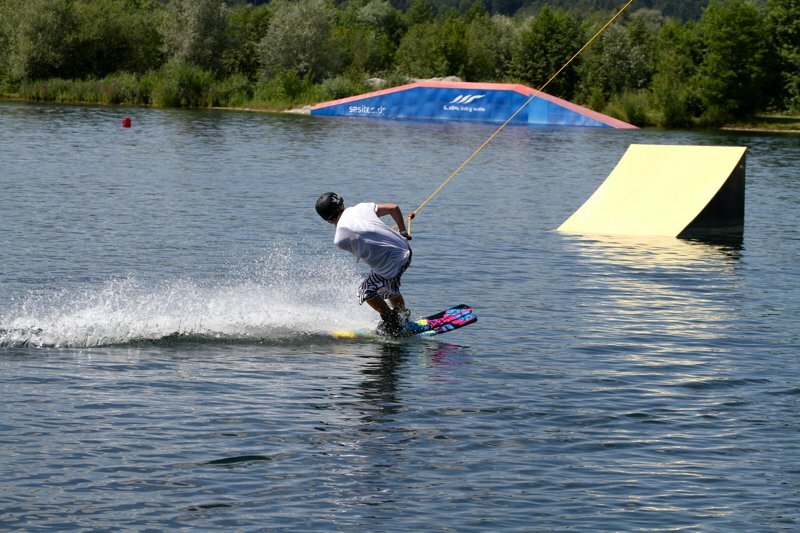 &ldquo; I was surprised by the high level of the riding and at the same time they have a style that reminds me a lot of freestyle skiing in the winter. 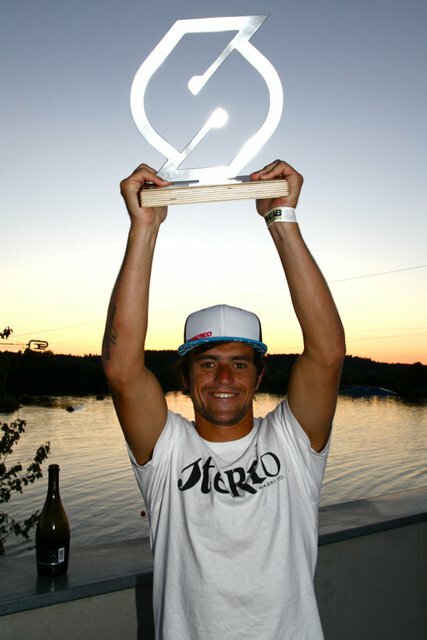 This inspires me a lot to ride myself&rdquo;, says Frankum who was the first rider on the water after the contest was over.